It’s very satisfying to come home smelling of the now familiar combination of anti bac and used coffee grounds knowing that we’ve made more than 100 oyster mushroom kits with people today and that the show wasn’t drinking enough coffee for the cafes and coffee outlets to keep us in used coffee grounds! I thought I was going to lose my voice by 1.00 at one point it was so beautifully busy. 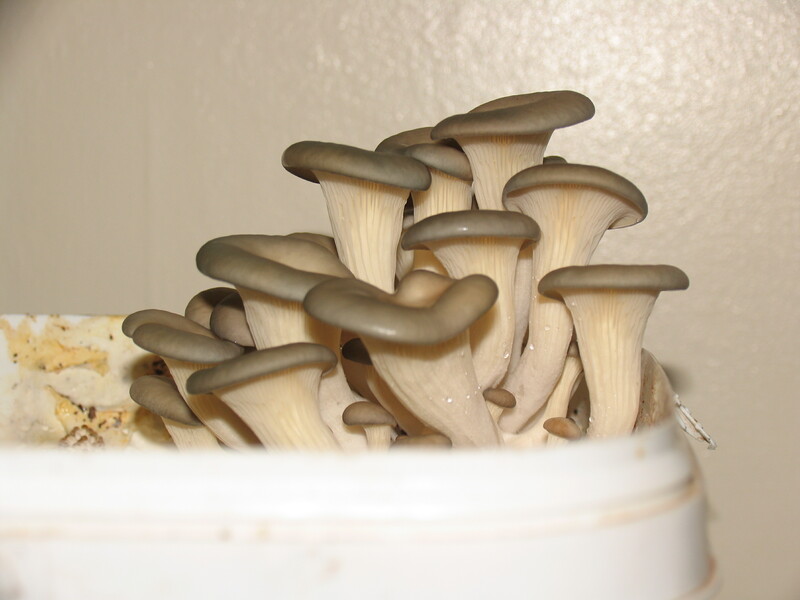 What fun and happy mushroom growing !! The event is on Saturday 6th September at Woodthorpe Grange Nurseries from 10.00-3.00. Many attractions including Veggies, Food Swap and many more! Cooked up with Oyster mushrooms, pasta and herbs…yum! 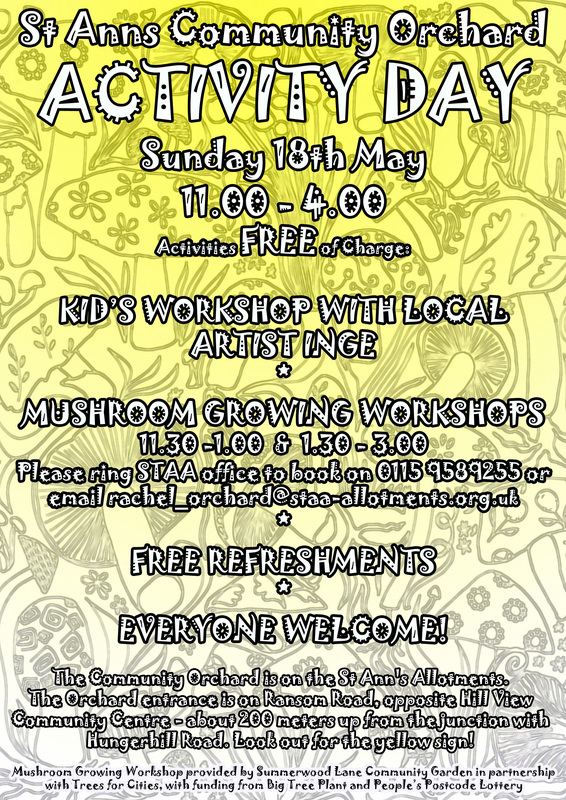 We’re doing free Mushroom Growing Workshops! !